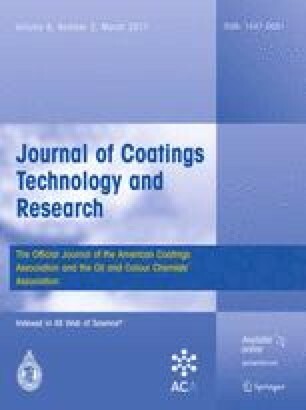 In the present paper, the authors report having developed highly reflective and durable coatings using synthesized zinc sulfide-capped thioglycerol nanoparticles. The coating material was prepared by dispersing ZnS/thioglycerol nanoparticles in an acrylic binder. The light reflectors were made applying this coating material to an aluminum substrate; their diffuse reflectance was measured and found to vary from 97% to 100% for 0.30-mm thick coating having 14% pigment-to-binder ratio. The aging effect of the reflectors with respect to temperature and illumination was also investigated to check their durability and they have been found to be optically stable up to 10,000 lux, and thermally up to 80°C. One of the authors, Sanjeev, thanks Thapar University, Patiala, for providing him fellowship to carry out this research work. The authors thank RSIC, Punjab University, Chandigarh, for prompt sample characterization. The constructive discussions with Ms. Zinki Jindal are also acknowledged.